Peripheral mycotic aneurysms are rare complications of infective endocarditis. The case of a 49-year-old man with a radial artery aneurysm in a context of infective endocarditis caused by Streptococcus bovis in the postoperative period of mechanical aortic valve replacement by homograft is reported. After diagnostic confirmation by Doppler scan, we chose to resect the aneurysmal sac with termino-terminal anastomosis. At 2 years of follow-up he presented asymptomatic, with palpable radial pulse and thriphasic flow in the palmar arch and ulnar artery. 3. Lee WK, Mossop PJ, Little AF, Fitt GJ, Vrazas JI, Hoang JK, Hen- nessy OF, Infected (mycotic) aneurysms: spectrum of imaging appearances and management, Radiographics, 2008; 28: 1853-68. 4. Walton NP, Choudhary F. Idiopathic radial artery aneurysm in the anatomical snuff box. Acta Orthop Belg. 2002;68:292-4. 5. Gray RJ, Stone WM, Fowl RJ, Cherry KJ, Bower TC. Management of true aneurysms distal to the axillary artery. J Vasc Surg. 1998;28:606-10. 6. Enç Y, Cinar B, Konuralp C, Yavuz SS, Sanïoglu S, Bilgen F; Peripheral mycotic aneurysms in infective endocarditis. J Heart Valve Dis. 2005 May;14(3):310-6. 8. 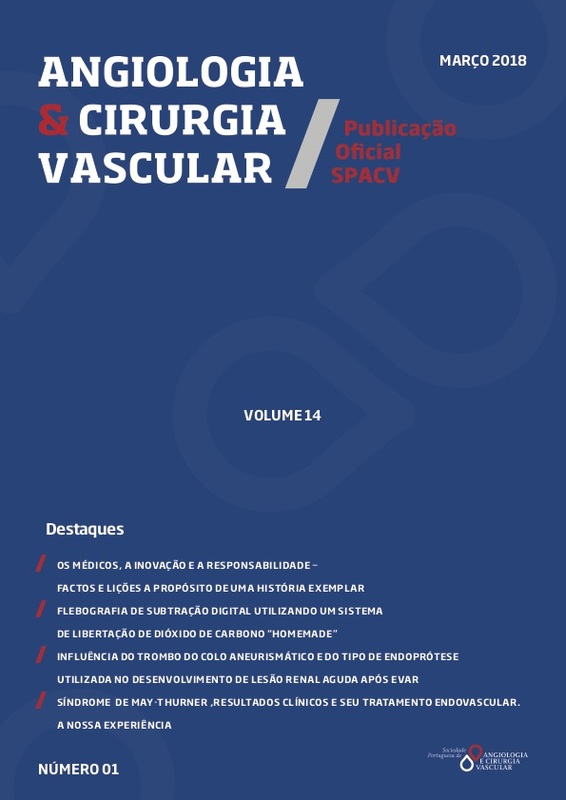 Claudio Nacif Feres, Marcos Augusto de Araújo Ferreira; Aneurisma verdadeiro da artéria radial: relato de caso;True aneurysm of the radial artery: a case report; J Vasc Bras. 2010;9(4):239-240. 9. Barakat H, Truwit J. Radial artery "mycotic" pseudoaneurysm occu- rring after arterial line placement: Case report and review of the lite- rature. Clin Pulm Med 2003;10:289-294. 10. Falk PS, Scuderi PE, Sherertz RJ, Motsinger SM. Infected radial artery pseudoaneurysms occurring after percutaneous cannulation. Chest 1992;101(2):490–495. 11. Santos ACB, Oliveira FM, Oliveira JG, et al. Aneurisma idiopático da artéria radial na região da tabaqueira anatômica: relato de caso. J Vasc Bras. 2008;7:380-3.